Winch cable attaches to the heavy duty master ring. 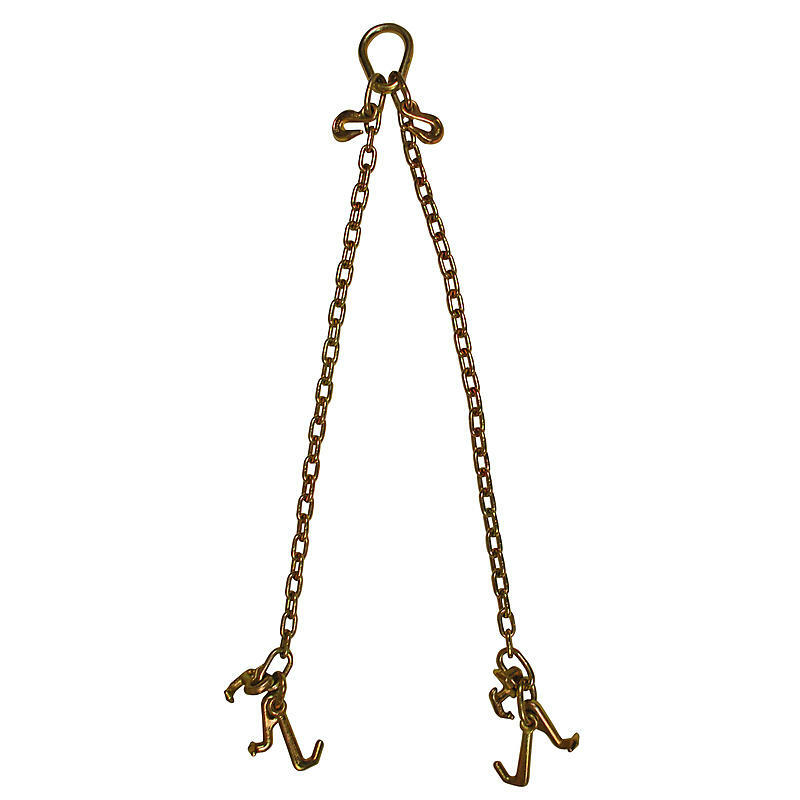 The master ring has clevis grab hooks to allow adjustment on the chain length. RTJ Cluster Hook on each end to attach to vehicle frame. For extra distance, the T-Hook and J-Hook are on a separate ring. Meets or exceeds all DOT specifications. Perfect for the auto towing, transport and wrecking industry.